The concert will honor the life and legacy of Eleanor Qadirah, founder of the Rowan Blues and Jazz Festival. Quadirah died in July of 2018. St. John’s will host “A Concert of Joy, Storytelling and Jazz” at 7 pm Feb. 2 in the Faith Center. This year’s concert will feature the Calvin Edwards Trio, a group which has performed jazz music all over the world. 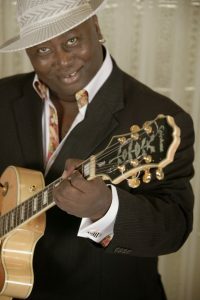 Joining Edwards will be North Carolina musicians, Samuel Obie on organ and Brian Burton on drums. The free event has its genesis in the Jazz Vespers events St. John’s has for years hosted in the Chapel. Edwards, a native of Kings Mountain, has played venues from Japan to China to San Francisco to New York. He’s performed at the Spoleto Festival in Charleston, the Romare Bearden 99th Birthday Bash, and the grand opening of the Mint Museum, both in Charlotte. In May 2018, the three-time cancer survivor played at the Duke Cancer Institute Benefit. “They helped me and I helped them,” he says. Now based at Lake Norman, Edwards began playing guitar at age 6 — his family members were gospel singers — and has played for 56 years in five countries. “And I speak Japanese,” he adds. Edwards has played jazz vespers at First United Presbyterian Church in Downtown Charlotte, a congregation built just after the Civil War by freed slaves. He says that wherever he plays, there’s no difference in his music. Likewise, jazz vespers have become part of the rhythm of life at St. John’s, according to Pastor Rhodes Woolly. Jazz Vespers at St. John’s began in 2010. “In many respects, jazz is a combination of many of those forms, combining harmonic style in European hymns with African-based rhythm. The result is a distinctly American flare, that gives music to the Psalms and the raw emotion of life. I can’t think of a more appropriate musical form for the church,” says Pastor Rhodes Woolly. 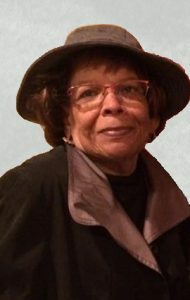 An enthusiastic proponent of jazz in the Salisbury community was the late Eleanor Qadirah, the longtime executive director of the Rowan Blues and Jazz Festival. The festival traced its roots to 1999, with the formation of the Rowan Blues and Jazz Society. Over the years, Qadirah worked tirelessly to create a line-up of talent from Rowan County and beyond. Qadirah themed the 2016 festival “Family Reunion.” The idea, she said then, was for everyone to come and gather, whether with their own family or as a part of the local jazz family. When St. John’s began its Jazz Vespers ministry, Qadirah was a natural partner. “She eagerly identified talent and eased us into the beautiful world of jazz,” says Pastor Rhodes. The St. John’s concert will honor the legacy of Qadirah, who died July 30, 2018.